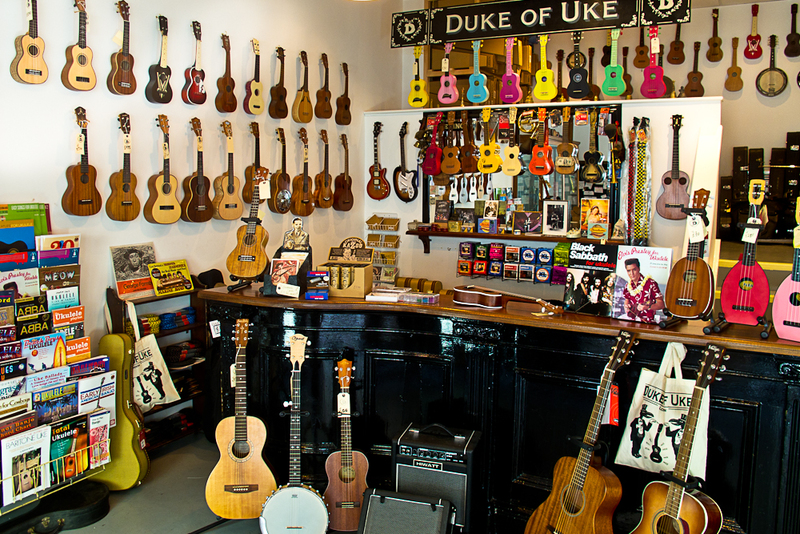 Duke of Uke is London’s World Famous Ukulele Store offering over 100 models of ukulele both in store and online. Established in 2005 as the first ever specialist ukulele store in the UK we pride ourselves on our commitment to providing excellent customer service and offering the very best advice on all things ukulele. Whether buying a gift, a complete beginner or seasoned pro, we’re on hand to offer you the expert guidance you will need to make the right purchase. We also carry a wide range of ukulele sheet music and accessories, including amps, pickups and FX. If you have any questions or need some friendly help and advice please use our Live Chat service, call us or drop us a line at info@dukeofuke.co.uk and one of our expert team will be happy to help. We are passionate about ukuleles and we have a commitment to cherry-picking the best quality ukuleles available from all around the world. If it's not up to grade, we don't stock it. 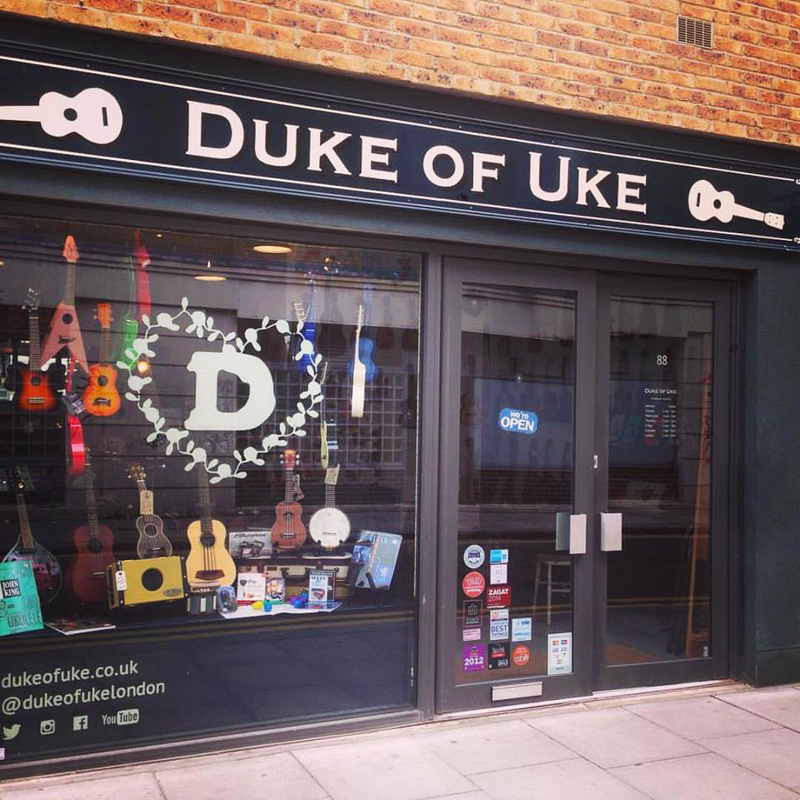 So at Duke of Uke, you can be sure that whatever you choose it will already have met with our high standards and have our seal of approval. You can also be sure that when you receive your ukulele it will be ready to play out of the box. All of our instruments are thoroughly checked over and safely and securely packaged before shipping. To get yourself up and running on the ukulele, why not join one of our hugely popular School of Uke courses, or alternatively book yourself in for some private tuition. Whether you're a complete beginner or the next ukulele virtuoso, we'll find a course to suit you. 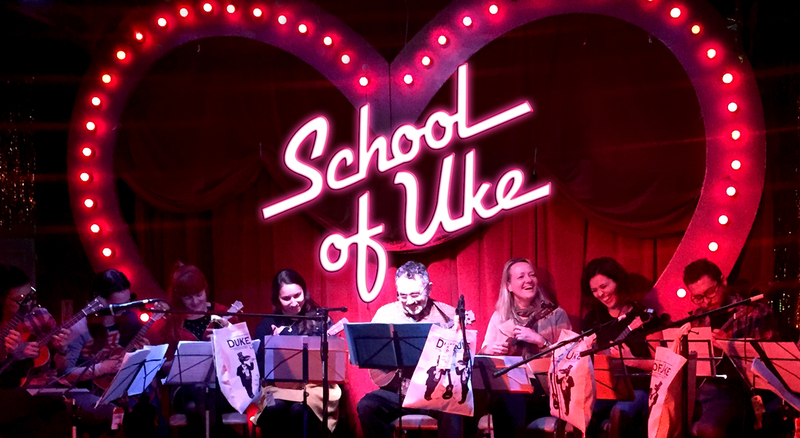 Based at the Duke of Uke, School of Uke evening classes give you the opportunity to meet new people and learn to play this wonderful instrument in a fun, relaxed and friendly environment. Book your place today! Well known for organising fantastic live music events in store, Duke of Uke recently hosted Guinness World Record for the longest ever ukulele performance (30hrs 2mins!) and regularly spotlights the latest talent including performances from ukulele superstars like Jake Shimabukuro (pictured below left) and Grace Vandervaal (below right). Sign up to our mailing list or follow us on social media @dukeofukelondon to keep up to date on shows and events at Duke of Uke. As a World Famous Ukulele Store, we've supplied ukuleles to many movie stars and pop stars too. So come and visit us and you might get to rub shoulders with John C Reilly pictured above, Keira Knightley, Jack Black, Emma Watson and many more who have all frequented the Duke of Uke store! The closest stations are Shoreditch High Street, Whitechapel and Liverpool Street. Closest landmarks are The Carpenter's Arms Pub and Beyond Retro vintage clothing store.